As you may have seen I am working on my jewelry line and it is almost there. But in the mean time, I wanted to share with you what I am inspired by and how it directly relates to my work. 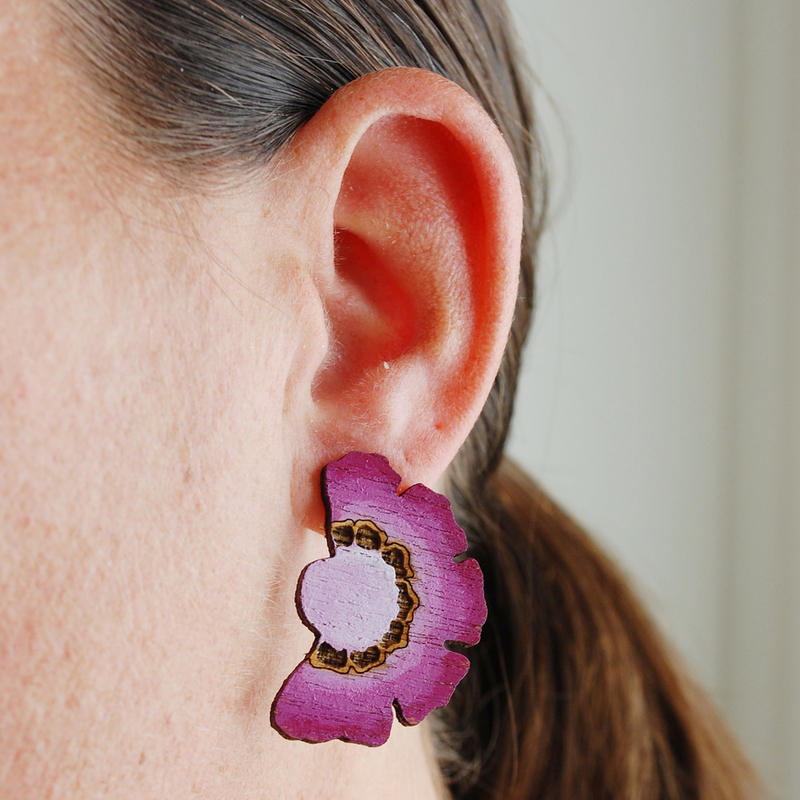 Here we have the Scabiosa Earrings where the colors and design are inspired by the flower that it is named after. One of my favorites so far!